The Big Idea: In an emergency, knowing their address and important phone numbers can help kids find their families. Print this page and help kids fill in the information. 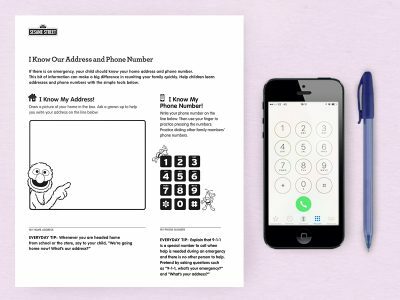 Post it somewhere that kids can see and reach, so kids can practice dialing phone numbers by touching the page.